We are not sure when this photo was taken. 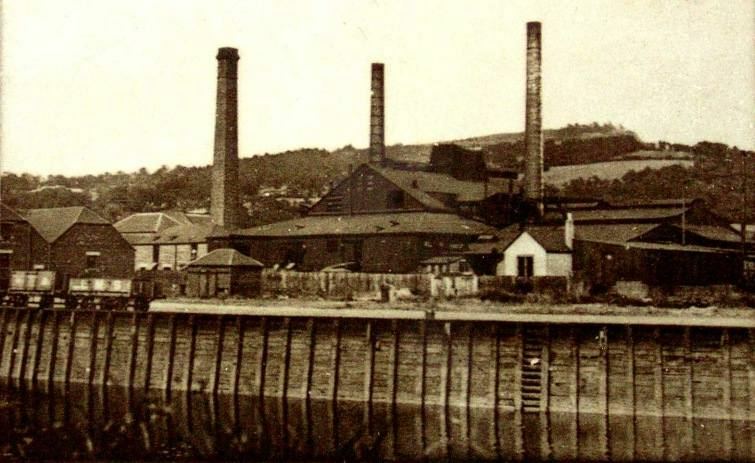 But the buildings of J. Cunningham Limited were incorporated into the John Moncrieff Tay Glassworks. This is the view from the opposite side to the later picture below. Tay Glassworks of John Moncrieff Ltd. This building was used for bottle making it was closed down in the 1930's following the depression. We are not sure when this photo was taken. With thanks to Colin Mayor, former Director, John Moncrieff Ltd.
North British Glassworks of John Moncrieff Ltd. We are not sure when this photo was taken. 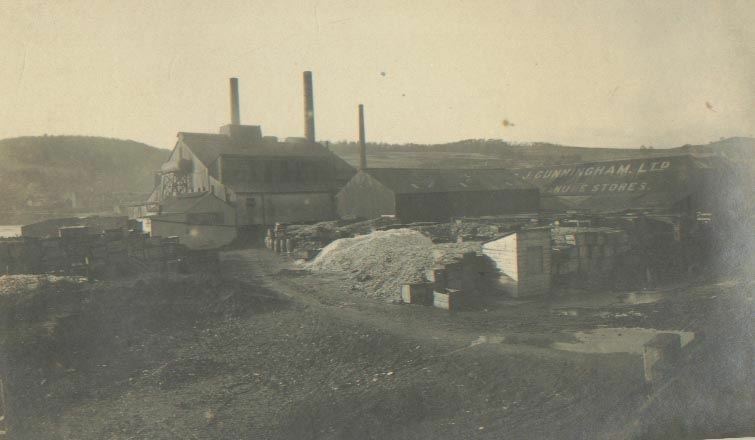 An storage area of the glassworks adjacent to the towns lade, being mostly wood, was destroyed in a fire during the summer of 1996. 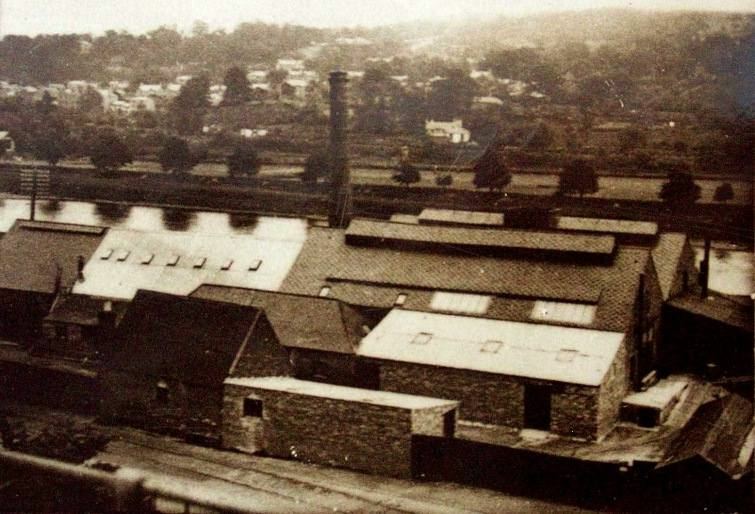 Tomey factory of John Moncrieff Ltd. We are not sure when this photo was taken.